Prices of gasoline (petrol), diesel, LPG and other fuels will remain high for some time in South Africa and Ghana, two key African countries where deregulation has kicked in, because of the weakening currencies of the two economies and marginal reduction in crude oil prices in the month of March 2013. Gasoline will cost as much as $1.42 (or R13.20) per litre in the inland parts of South Africa and $1.38(or R12.83) in the country’s inland region throughout April 2013. The costs are adjusted monthly by the Department of Energy, and they are reflective of international prices of Brent crude and the exchange rate. LPG prices in Ghana shot up by 50%, selling at $12.59 (or GHS24.36) per a 12.5 kg container. In Nigeria, a litre of gasoline costs $0.61 or (97Naira). In Angola, gasoline prices cost around the same. The two countries produce the highest volumes of oil on the continents and their governments have been unable to slash subsidies on fuel prices. 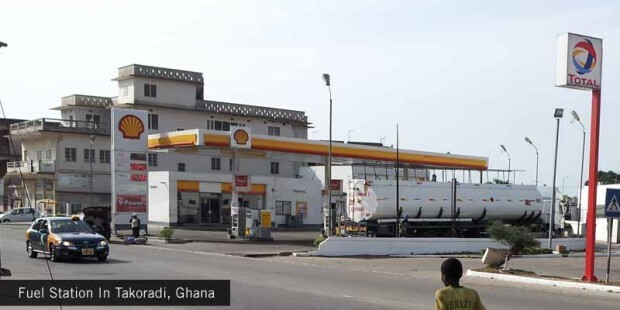 Ghana’s National Petroleum Authority(NPA) said the new prices were “based on the crude oil price of $116 per barrel and an exchange rate of GHS1.89. The exchange rates, as we went to Press, had gone up to GHS 1.935. While transporters and other segments of the Ghanaian economy complained, the government said that the deregulation did not go far enough. NPA’s chief executive Alex Mould said fuel subsidies for last year totaled one billion cedis ($526 million). International crude prices fell (to average $105 a barrel) for most of March 2013, relative to the prices in February(as high as $116 a barrel), but the South African Rand and Ghanaian Cedis struggled with the American Dollar, and with both losing the bruising battle for value($1:R8.9 to $1:9.25, $1:GHS1.89 to $1:GHS1.935), petroleum prices could not come down. James great job getting your site up and going .now just post some of your folubaus photographs for us to ooohhhh over! Keep up the good work!